Peekskill, officially the City of Peekskill, is a city in the New York City metropolitan area, Westchester County, New York. Peekskill is situated on a bay along the east side of the Hudson River, across from Jones Point. Peekskill covers 4.37 square miles in a rough semicircle, ringed by the town of Cortlandt, which it separated from in 1940. Its steep hills create an amphitheater for views of the Hudson and the surrounding green hills. The population is 23,583 according to the 2010 census. A trading post-turned-industrial city that overlooks the Hudson River, Peekskill has spent most of the past 20 years recovering from an economic downturn that struck the city when much of its manufacturing base eroded. A revitalization has seen new, higher-tech businesses take root in the city and the renovation of the historic districts and Victorian homes that are its trademark. Downtown Peekskill has become a haven for artists, with the development of the Peekskill Art Lofts, the Hudson Valley Center for Contemporary Art, and the Peekskill Coffee House, while the Paramount Center for the Arts has become a destination for indie film patrons, in addition to being a venue for live entertainment, art exhibits, and educational programs. For outdoor lovers person, Peekskill boasts 11 parks that offer everything from swimming and tennis to hiking trails and playgrounds. 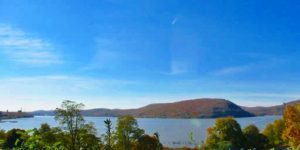 For more information on Peekskill please Click Here.